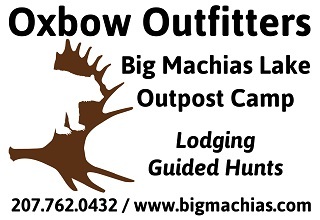 We offer guided trophy moose hunts. Our team of Registered Maine Guides have decades of experience in locating, calling, and harvesting trophy moose. From pre-season scouting to processing, our primary goal is providing you the hunting experience of a lifetime! Our camp is located on the border of WMD 5 and 2, with easy access to WMD 1,4, and 3. Please contact us with any questions or to book your hunt today.